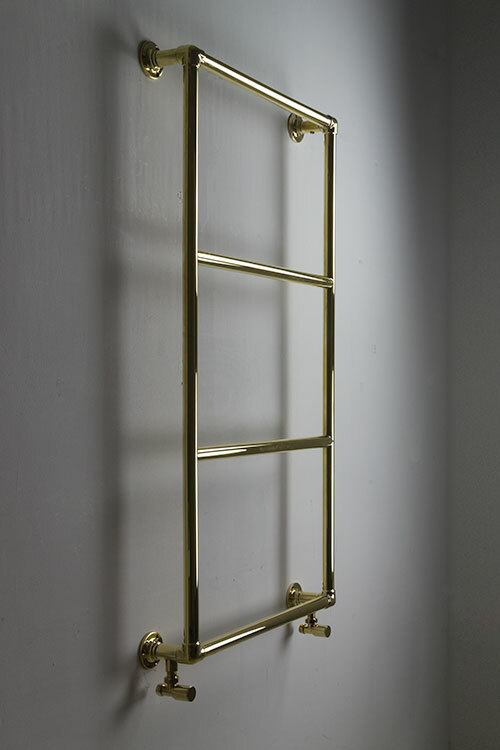 This polished brass towel rail has a classic design that is sure to look stylish within both traditional and modern bathroom designs. 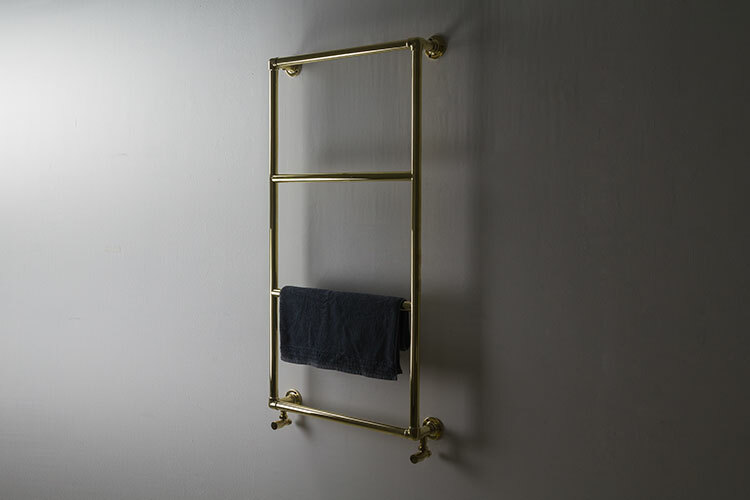 The towel rail has a high quality stainless steel body which is then brass plated and left unprotected allowing a natural tarnished brass patina to be achieved over time or if the golden brass lustre if preferred the towel radiator can be easily buffed periodically. 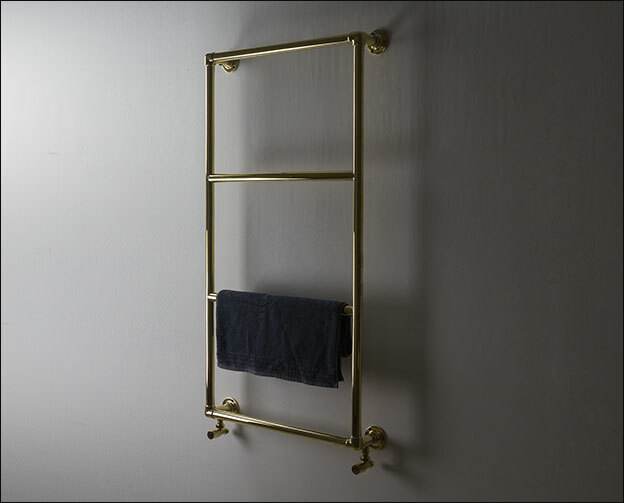 This towel rail can also be supplied in a protected finish so that it keeps its original look without the need for occasional maintenance. 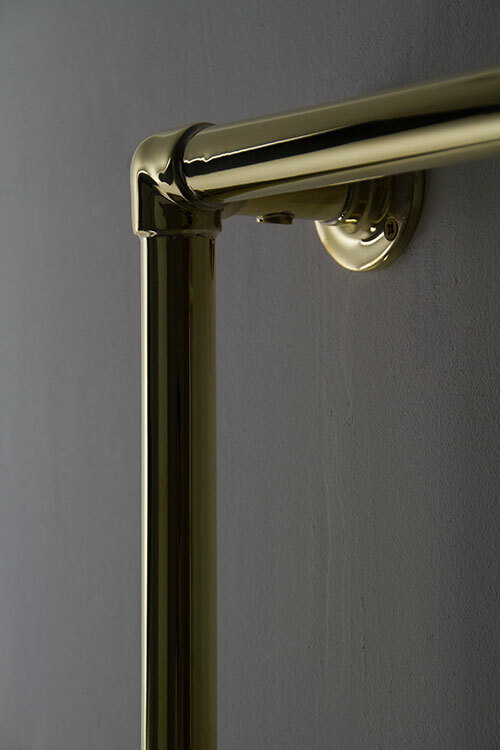 • Central heating, dual fuel & electric options. 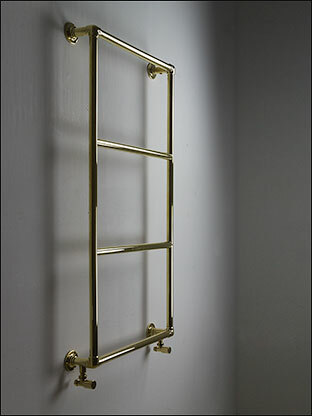 • Supplied to special order - allow 6 weeks. 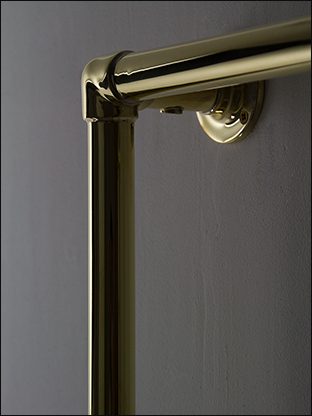 • 1300mm height shown in image. • Bespoke sizes also available on request.